Premiered first by Pete Tong on his esteemed BBC Radio 1, "Tsunami" has been called one of the biggest tracks of 2013 and has hit every chart all over the world including #1 in the top 40 in the UK. The single won the EMPO Award for 'Track of the Year' and received nomination for The Juno Award 'Dance Recording of the Year'. With his second release of 2013 entitled "Stampede," BORGEOUS teamed up with Dimitri Vegas & Like Mike and DVBBS which landed him with back to back #1 songs on Beatport's Top 100 Charts. Premiered first by Pete Tong on his esteemed BBC Radio 1, "Tsunami" has been called one of the biggest tracks of 2013 and has hit every chart all over the world including #1 in the top 40 in the UK. The single won the EMPO Award for 'Track of the Year' and received nomination for The Juno Award 'Dance Recording of the Year'. 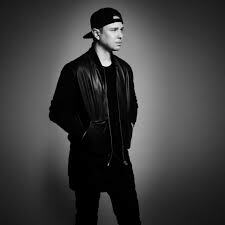 With his second release of 2013 entitled "Stampede," BORGEOUS teamed up with Dimitri Vegas & Like Mike and DVBBS which landed him with back to back #1 songs on Beatport's Top 100 Charts. 2014 has seen the rippling effects of BORGEOUS' signing with Spinnin' Records. At full throttle, the American DJ/producer released a handful of club hits and remix favorites.